The world marveled (pardon the pun) as the combined might of the disparate Marvel Cinematic Universe franchises took on the unstoppable Mad Titan Thanos (played to dastardly perfection by Josh Brolin) on his mission to claim all of the Infinity Stones towards “Snapping” half of all Life in the universe from existence, and wept as they failed. Thanos won, and several of the heroes we’ve grown to love over the past decade of MCU storytelling bit the dust, literally, sending the mega-franchise down a dark and uncertain turn, figuratively, of course. Already, fans are looking towards the next chapter of the franchise, Avengers 4 (not Infinity War 2, for reasons explained below) that will be released sometime in 2019 (also, below). The internet is rife with theories and speculations on if and how said fallen heroes will return but we are here to present you with the facts we’ve learned from interviews, set photos and media coverage thus far. If you aren’t aware already, THERE WILL BE SPOILERS!!!!! Avengers 4 will be released on May 3, 2019, just over a year after Infinity War, which is a rarity as they’re the only two Avengers movie released a year apart. Until then, there were about three-year breaks between each releases—The Avengers in 2012, Age of Ultron in 2015 and Infinity War in 2018. This is because Avengers 4’s narrative was intricately linked to Avengers: Infinity War. At one time, they were billed as Avengers: Infinity War 1 and Avengers: Infinity War 2 but the directors and studio have since decided to retitle the sequel so the movies could standalone for storytelling reasons. Both movies were also filmed back-to back so it’s safe to hazard that there’re still really close attachments between the two movies, plus super producer Kevin Feige (pga) has said as much in an interview with Steve Weintraub of Collider. As mentioned, Avengers: Infinity War 2 was changed to Avengers 4 in July, 2016, but Marvel Studios are yet to reveal a subtitle. After the release of Infinity War, producer Kevin Feige said the next subtitle wasn’t Infinity Gauntlet as many theorists opined in his interview with Weintraub. He has since refrained from hinting at a title, stating that it would be a spoiler for the upcoming movie. Joe Russo, one of the co-directors of Infinity War returning for Avengers 4 also said the mysterious title wasn’t cited in any dialogue in the movie so that put the kibosh in the theories of those who expected “Endgame” a la Doctor Strange. Recent teases from the directors though have suggested that the movie could be subtitled “Annihilation” after a popular Marvel Comics event. But it’s easier to believe that we will get the official subtitle from the first teaser trailer of the forthcoming blockbuster. Concerning the trailer, it’s been a custom for Marvel Studios to release the first stingers for their movies a year in advance. 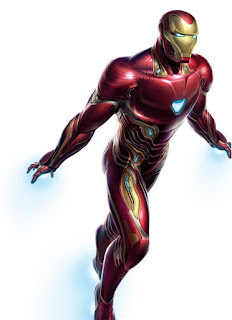 The first Avengers movie’s trailer was released in July, 2011 while the sequel was released in October, 2014. Infinity War shared a first look in early December. 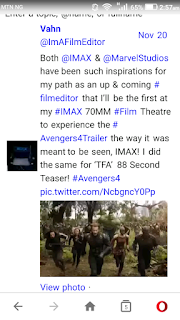 And given rumors of a presumed trailer being converted into an “IMAX” friendly format in mid-October (see picture below), it all suggests to a trailer being prepared which should be coming before the end of the year, to be safe. But the next two to three weeks certainly look interesting enough for a reveal. Wreck-it-Ralph 2: Ralph Breaks The Internet is a Disney/Pixar product that will be released on Wednesday, 21st November, 2018, and Rob Marshall’s Mary Poppins Returns hits theaters on the 19th December, 2018. Both have received critical praise from press screenings and are potential Disney titles for the Avengers 4 trailer teaser to be attached to. Odds are that it could simply be released days after Thanksgiving Day, just like Infinity War’s first teaser. You may check back here for updates and trailer as and when they arrive. But what does this all mean? What reality? What sacrifices? This seems like a theme running from other subfranchises in the MCU, most notably Doctor Strange, and Ant-Man (more on him later). They both touched on alternate dimensions and Doctor Strange’s motif of self-sacrifice seeped from his movie into Infinity War. But with the sacrifices tendered in Infinity War, one fears to imagine what other sacrifices must be made to stop Thanos. The two other MCU movies released in the interim are Ant Man and the Wasp (July, 2018) and Captain Marvel (March, 2019). Ant Man and the Wasp featured a deep dive into the Quantum Realm to retrieve the original Wasp, Janet Van Dyne, and it’s believed said realm will factor into Avengers 4 somehow (at least, Scott Lang is trapped in there after all at the end of the movie and someone will have to get him out as Pym and the Van Dyne’s have also been turned to dust, if he’s to play a part in Avengers 4 and it’s been confirmed he will). Captain Marvel will also be a precursor to the mega event. In September, 2018, producer Kevin Feige heralded her as the most powerful character in the franchise and the only one capable of going toe-to-toe with Thanos in an interview with EW (Entertainment Weekly). Already, concept art from the movie has been leaked (see pictures below). They reveal upgrades to Iron Patriot’s armor and a new outfit for The Hulk that suggests an appearance of Professor Hulk. This signifies an interesting development as Infinity War left the personalities of Hulk and Bruce Banner in a bit of an impasse, to put it kindly. Directors Joe and Anthony Russo have confirmed there’ll be a three-film character arc for The Hulk which began from Thor: Ragnarok and will end with Avengers 4. Professor Hulk might play into this scenario. 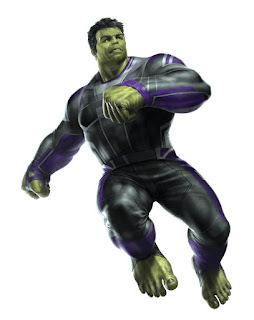 Professor Hulk is the merged identities of both Banner and Hulk personas and is distinguishable by the artwork’s more resemblance to Banner than Hulk and, of course in the costume. There’s a long explanation behind it that takes precedence from the comics, especially from Peter David’s run, but it deserves its own article. There are also new looks at Iron Man, Black Widow’s return to a redhead, Ant-Man, Rocket, Thor, Nebula and Captain Marvel. They seem the real deal because they leaked before the first Captain Marvel trailer and her outfit was right on the money. Avengers: Infinity War left us with a lot of dead Avengers, and a lot of dead Guardians, and, oh, another small matter of half of the universe being wiped out. As of now, little to nothing has suggested how the Snap will be negated, or even if it can. Though there are few details we have to go on that gives a little bit of hope. First, from Infinity War itself, Strange saw 14,000,605 “…possible outcomes of the coming conflict…” against Thanos on Titan, and only one in which they win, which he later implied at by the end with his final words “…there was no other way…” as he turned into dust. This inferences that the only way to defeat Thanos was in making the sacrifices at the end of the film. Though this, in itself, doesn’t suggest that the deaths can be overturned, only that Thanos can be defeated. Second, from Ant Man and the Wasp, there’s a throwaway line from Janet Van Dyne about Time Vortexes in the mid credits of the movie before Scott Lang goes into the quantum realm to obtain Quantum Healing Particles for Ghost. We have to assume Time Vortexes do what they say on the cover. With Scott trapped in there, odds are he brings back knowledge of the Time Vortex with him when he returns as Janet isn’t available to relay such info. Whether it will be used for some time-hopping gimmickries is not known at the moment but a released BTS image sometime in July hinting at a revisitation of the Invasion of New York in the first Avengers movie (see pics below) seems to suggest that some element of time-travel might be afoot. Michael Douglas, who plays Hank Pym in the Ant Man films has said the Quantum Realm will play a pivotal part of Avengers 4. “…the Quantum Realm, that’s the key. That’s the key. The Quantum Realm plays an important part in all the next chapters, I think, of the Marvel films,” he said in an interview on On Air with Ryan Seacrest. Nothing from Captain Marvel has revealed plot connections to Avengers 4 save that her character will be in it. But that was already hinted at in the post-credits stinger for Infinity War featuring both Agents Fury and Hill, also both dust by film’s end. 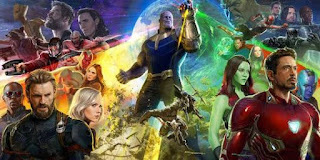 Characters “dusted” at the end of Infinity War includes Doctor Strange, Spider-Man, Bucky Barnes, Black Panther, Scarlet Witch, the full roster of the Guardians of the Galaxy bar Rocket Raccoon, and as said already, Agents Fury and Hill, and Hank Pym and the Van Dynes in Ant Man and the Wasp. Gamora died as a sacrifice for the Soul Stone and Vision died as the Mind Stone was ripped from his head. Loki and Heimdall died early on as Thanos retrieved the Space Stone from the Asgardians. As of now, nothing official from the studio has been released about all their revival. 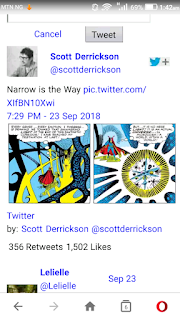 But news of a Doctor Strange sequel has gained traction over the last few months from Doctor Strange director Scott Derrickson’s twitter account (see picture below), and given his involvement in Infinity War and the positive reception of the fandom towards his depiction, it might be just a matter of time before it’s confirmed. While Avengers 4 brings Phase 3 to a close, a new Spider-Man movie currently under production and subtitled Far From Home, ushers in a new Phase. This also implies that Spider-Man returns in Avengers 4 and survives into his movie but no official statement has come from that and so is merely an educated guess. A third Guardians of the Galaxy movie was slated to release sometime in 2020 but has been indefinitely postponed after losing its director James Gunn as parent company Disney and Marvel Studios cut ties on the basis of incriminating pedophilic tweets that were uncovered on his social media account. What that means for the cosmic-faring team in Avengers 4 and beyond is anyone’s guess but it doesn’t look too good. 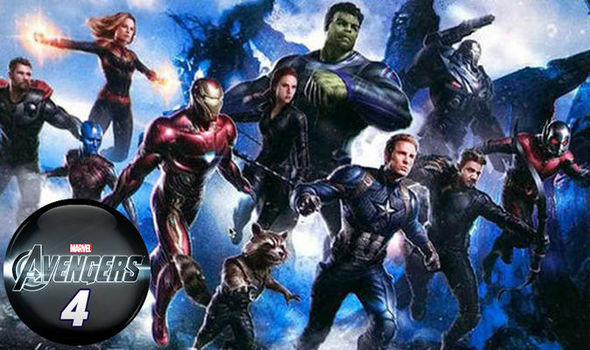 Returning in Avengers 4 are the original members of the Avengers team, Chris Evan’s Captain America, Robert Downey Jr.’s Iron Man, Mark Ruffalo’s Hulk, Chris Hemsworth’s Thor, Don Cheadle’s Iron Patriot and Scarlett Johansson’s Black Widow. Josh Brolin’s Thanos will return. 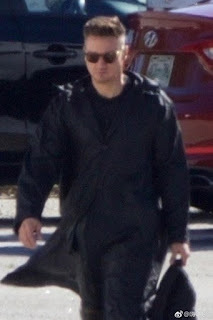 Paul Rudd’s Scott Lang and Jeremy Renner’s Hawkeye are rumored to play important parts of the epic, following leaked set photos, the former in the reenactment of the Invasion of New York (see pictures above) and the latter as Ronin . Karen Gillan’s Nebula was stranded on Titan with Stark at the end of Infinity War and it is rumored both will work together to get off the dead planet that was once Thanos’s home. Maybe this is her new “friend” Gillan alluded to in a pre-release interview of Infinity War with Fandango in August, 2017. Tom Hiddleston’s Loki is also believed to return in some capacity, chiefly in the aforementioned Invasion of New York scene. Based also on recent interviews, Dave Bautista’s Drax and Zoe Saldana’s Gamora of the Guardians of the Galaxy are expected to return, as well as Pom Klementieff’s Mantis and Chris Pratt’s Star-Lord though it’s not certain in what capacity. 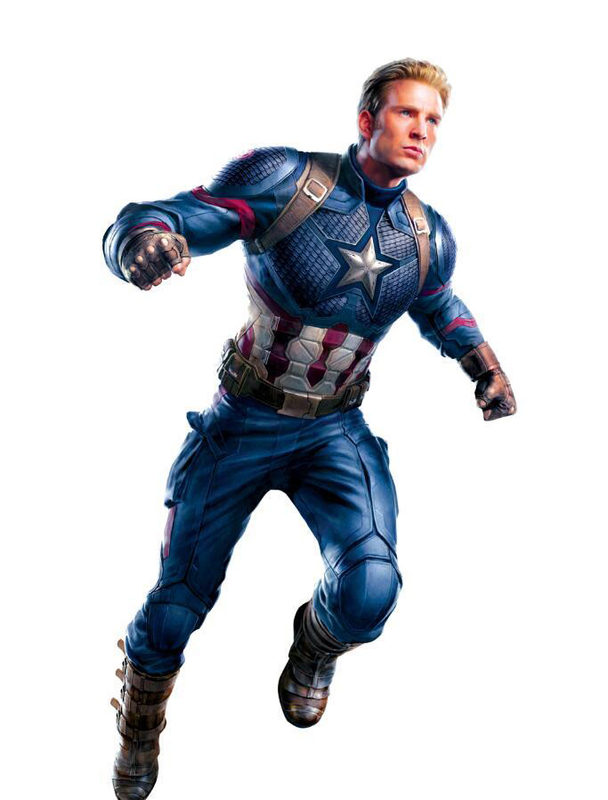 In a promotional interview with The Independent in April, 2018, Sebastian Stan (playing The Winter Soldier) hinted at a huge scene involving most of the franchise’s characters in battle and pointed out the appearance of Hank Pym and Janet Van Dyne. Marvel Studios are yet to reveal a hint as to their participation. He has tried to temper expectations with another interview with Collider much later in 2018, saying “…I don’t know if I’m in Avengers 4. What I shot was in part one…” but one can’t help feeling he is doing damage control at this point. Falcon and Scarlet Witch are also confirmed to return. Gwyneth Paltrow’s Pepper Potts will return and will have some scenes with RDJ’s Stark, which suggests he finds his way back to Earth early on. She will also suit up as Rescue as she had in the comic books if leaked images on social media are anything thing to go by. It has also been confirmed that Stan “The Man” Lee will return in his honorary cameo appearance. It’s not news that the acclaimed comic book writer and father of Marvel “returned to Asgard with the Valkyries” on the 11th November, 2018, at the ripe old age of 95 years, following decades of tremendous service to humanity and the comic book sphere. His soul will forever live in peace and the legacy he’s left behind will live on. The future beyond Avengers 4, and consequently the ending of Phase 3, is more unclear than previous phases. Information on the franchises that Phase 4 will build off of are tightly kept under wraps, save Spider-Man: Far From Home confirmed to begin the new phase of storytelling and has already completed principal photography. There is movement on Doctor Strange and Black Panther has locked Ryan Coogler to direct the sequel. Existing franchises like Captain America and Iron Man are expected to come to an end as the contracts of their stars will expire with Avengers 4. Chris Evans has already tweeted a cryptic, heartfelt goodbye to the crew as his filming wrapped up. The Incredible Hulk might have cameo appearances beyond Avengers 4 but Mark Ruffalo’s contract is also rumored to expire as the credits roll. No plans have been announced concerning a third Ant Man movie or a fourth Thor movie and Guardians of the Galaxy 3 has been postponed indefinitely. While Avengers: Infinity War celebrated a decade’s anniversary in style for Marvel Studios, the climax of the MCU is shaping up to be an even bigger event. As the week passes and memorabilia, official press articles and set photos are unveiled towards the release of a teaser, the outlook on what to expect should become clearer for the fandom to tear into and dissect.